One very big corrupt club!! Thread: One very big corrupt club!! Subject: ONE VERY BIG CORRUPT CLUB!! ONE <pkhenderson@ ONE> VERY BIG CORRUPT CLUB!! Exemption Branch of the IRS? of US Uranium to no other than, the Russians. wasn't, the People got absolutely nothing out of it. at his home for a few hours. US Attorney’s Office in Maryland. him up if he spoke out about it. inside information to the FBI on the criminal enterprise? Foundation from entities directly connected to the Uranium One deal. unclassified, unauthorized, outlaw personal email server. this…… they did everything humanly possible to cover for Hillary. you present when he departed his employer. Internal Revenue Service and exonerates her. Clinton, meanwhile the DOJ is handing out immunity deals like candy. DOJ and the story continues. are...... this group and a few others did it. All connected in one way or another to the Clinton' s.
that does the Clinton Foundation&# 39;s taxes. protege of James Comey and Robert Mueller. represented the FBI at least five times. and its appeal in 1999 from the DC District and Appeals Court dockets (?). the individual is a protected CIA operative. government organization to shield their activities. and the Russians. Why does Barsoomian, CIA operative, merit any mention? Re: One very big corrupt club!! And Jeff “asset forfeiture” Sessions recused himself of anything “Hillary” and sings high praise of Rod Rosenstein. Trump, “Clintons are good people”. Got a link for this? Attorney Lisa Barsoomian Represents Hillary Clinton, Married to Rod Rosenstein-Fiction! 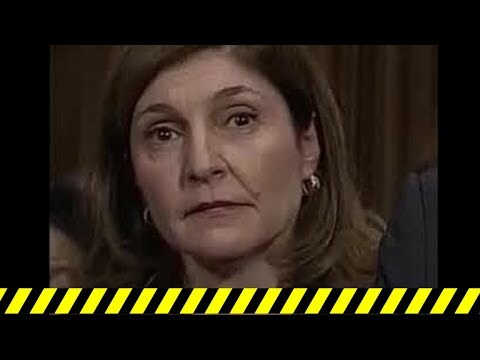 Deputy Attorney General Rod Rosenstein’s wife, attorney Lisa Barsoomian, has represented Bill and Hillary Clinton for decades. That makes Rosenstein’s appointment of Robert S. Mueller III as special counsel a deep state conspiracy. Rod Rosenstein and Lisa Barsoomian are, in fact, married. But Barsoomian has never served as a personal attorney to the Clintons. As a former assistant U.S. attorney, Barsoomian regularly represented U.S. interests in civil cases. But she has never personally represented the Clintons. These rumors can be traced back to Roger Stone. The long-time political operative and unofficial advisor to President Donald Trump’s campaign has himself become embroiled in Robert S. Mueller’s investigation into Russian meddling in the 2016 election. Trump campaign advisor Sam Nunberg said in April 2018 that Mueller questioned him about a supposed meeting between Stone and Wikileaks founder Julian Assange. So, Stone has a personal stake in Mueller’s probe. False claims that Lisa Barsoomian represents the Clintons misrepresent the role U.S. attorneys plan in civil litigation involving the federal government. But the implication that Lisa Barsoomian represents the Clintons is false. Barsoomian currently serves as a lawyer at the National Institutes of Health. Before that, she served as an Assistant U.S. Attorney for the District of Columbia. In that role, Barsoomian often represented interests of the United States government in civil litigation. But, again, it’s important to note that she she didn’t represent individual parties in those cases. She represented the interests of the United States. In one example, Barsoomian was listed as an attorney in the 2002 case Judicial Watch, Inc. v. FBI. Although Robert S. Mueller served as FBI director at the time, Barsoomian didn’t represent Mueller personally. Rather, as a footnote in the case notes, “defendant correctly notes that the proper defendant under the Freedom of Information Act is the United States Department of Justice,” and not the FBI or Mueller himself. There are many such examples of Barsoomian representing the office of presidency or various agencies in civil cases However, she has never personally represented the Clintons, Mueller or Comey. From a friend, no references. We've been told by Q to look into the wives and I mentioned the other night I didnt think we were really finished digging in that hole. Lo and Behold Ive got a real special one for you today. Nope nothing wrong with her being in this picture at all except for EVERYTHING. Lets learn a little about Mrs. Lisa H. Barsoomian background. You may be saying to yourself, okay who cares, who cares about the work history of this Barsoomian woman. Someone out there cares so much that the internet has been purged of all information pertaining to Barsoomian. The rules of ethics, funny, required his refusal." This reads as a synopsis of a Larry Klayman interview. It’s almost as if Trump doesn’t want this to come out either... Honor among thieves? These bastards — and their bosses — were going to pay for violating my family. My kids. My home. One way or the other, I would have the last word. As I have throughout my life and career. And I was going to have to go back into journalism to even the score. I always win. You’ll learn that about me in the coming days and weeks, if you haven’t already learned as a reader of True Pundit. In fact, I already have won. The FBI learned it too. And I have much more to teach the Bureau if it decides it hasn’t been taught enough. True Pundit has broken dozens of key FBI scoops in two years and look at the Bureau. It is in shambles. No one in the media even comes close to our work. As we continues to delve deeper into the depravity of the #RussiaGate investigation, it has become fairly obvious that objective judgement will be impossible. The FBI is at the center of this debate after a number of damning text messages were revealed to have been sent between adulterous agents Peter Strzok and Lisa Page during a torrid affair that the two were having. These texts showed an incredible amount of bias against the President of the United States, and an overt willingness to "stop him" from taking the oath of office. After these two were booted from the Robert Mueller-led team, there was hope that perhaps the ship would right itself. That is not the case, apparently. This will certainly add fuel to the argument that the President may need to intervene in the Department of Justice's oversight of the investigation, as former Trump acquaintances continue to find themselves being brought up on a plethora of charges that have nothing to do with alleged Russian interference in the 2016 election. That Cavanough USSC pick dude played a huge role in the Vince Foster murder cover up deal too. Makes it sort of tricky for killery to summon her minions to oppose him!